“Monet to Matisse: Masterworks of French Impressionism from the Dixon Gallery and Gardens”: “Monet to Matisse” features 30 paintings from the renowned collection of the Dixon Gallery and Gardens in Memphis. The exhibition includes landscapes, portraits, interiors, and still life by leaders of French Impressionism, as well as major paintings by post-Impressionist artists. 10 a.m.-5 p.m., Telfair Museums, 207 W York St., Savannah. 912-790-8800 or www.telfair.org. All Saints Garden Tour Poster Contest: The All Saints Garden Tour, scheduled for May 18, is looking for artists who would like to enter a picture of flowers or a garden in the poster competition. All of the works will be displayed at Hilton Head Hospital in February for sale, and part of the proceeds are contributed to the tour. Deadline for submitting application is Jan. 15. For application information, go to allsaintsgardentour.com. 2018 Public Art Exhibition: The 2018 Public Art Exhibition on Hilton Head Island features 20 large-scale sculptures created by artists from across the country, placed along the 1-mile walking path at the Coastal Discovery Museum. The event is open during regular hours. Admission is free. Guided tours are $10 per person and are offered through the museum at 1 p.m. Fridays. Reservations suggested. Coastal Discovery Museum, 70 Honey Horn Drive, Hilton Head Island. 843-689-6767 or www.coastaldiscovery.org. “Sea to Shining Sea and Places in Between”: Linda Hilts will feature her favorite art mediums — watercolor, acrylic and pastel. Free. Society of Bluffton Artists, 6 Church St., Bluffton. 843-757-6586 or www.sobagallery.com. “Simply Southern, Recent Paintings by Margaret Crawford”: See what so many of us love about the South. “Simply Southern, Recent Paintings by Margaret Crawford” will be on exhibit at the Art League Gallery. 10 a.m.-4 p.m. Mondays-Saturdays and noon-4 p.m. Sundays, Arts Center of Coastal Carolina, 14 Shelter Cove Lane, Hilton Head Island. www.theartleague.org. Festival of Trees: Beautiful, creatively themed Christmas trees in all sizes and colors are sponsored and decorated by local organizations, businesses and individuals. Themes range from the traditional to the whimsical to the humorous. Free. 3-7 p.m., Sonesta Resort Hilton Head Island, 130 Shipyard Drive, Hilton Head Island. www.hhprep.org. Christmas Village in South Beach: The fun starts the Friday after Thanksgiving at The Salty Dog. Experience the magic of the holiday season in the Lowcountry with a spectacular Christmas light display. Write letters to Santa and enjoy holiday treats. Families, children and well-behaved, leashed pets are invited to get their picture taken with Santa. 3-5 p.m., 232 S. Sea Pines Drive, Hilton Head Island. boatride@saltydog.com. TEDxHiltonHeadWomen: Join us for an uplifting day with local speakers discussing issues important to women. Tickets are $65. 8:30 a.m.-2:30 p.m., Poseidon Coastal Cuisine Rooftop Bar, 38 Shelter Cove Lane, Hilton Head Island. www.eventbrite.com. The Joshua Bowlus Trio: Joshua Bowlus has developed a unique voice in the jazz world, and recently released a collaboration with vocalist Linda Cole under his record label J-Bo Records. $20. 8-11 p.m., The Jazz Corner, 1000 William Hilton Parkway, Hilton Head Island. Town of Bluffton Christmas Parade: Come join your neighbors at the annual town of Bluffton Christmas Parade throughout Old Town. 10 a.m.-1 p.m. The parade will begin at the corner of Bridge and Pritchard streets. Outdoor Movie: “The Santa Clause”: Watch “The Santa Clause” with a fire pit for roasting marshmallows. Bring donations of canned food item for The Deep Well Project. Free. 7 p.m., Harbour Town, 149 Lighthouse Road, Hilton Head Island. 843-842-1979 or www.seapines.com/events. South Carolina Congressional Cup: The sixth annual South Carolina Congressional Cup is a fundraiser for the Heritage Classic Foundation. Business leaders will network and interact in a casual atmosphere with members of the South Carolina Congressional Delegation. Noon, The Sea Pines Resort, 32 Greenwood Drive, Hilton Head Island. 843-671-2448, ext. 1243 or angie@heritageclassicfoundation.com. Photos with Santa: Families can take pictures with Santa. Free. 3-5 p.m., South Beach Inn & Vacation Rentals, 232 S. Sea Pines Drive #106, Hilton Head Island. Hilton Head Symphony Orchestra Holiday Spectacular: Conductor John Morris Russell will lead an evening of festive holiday music with guest soloist Rebecca Hawkey. The evening will celebrate the Hilton Head Symphony Chorus and the vocal ensemble of May River High School, called the Schola Cantorum. Joining the orchestra will be violinist Maggie Kasinger, winner of the 2018 HHSO Youth Concerto Competition. Tickets are $30, $45 and $55. 5 p.m., First Presbyterian Church, 540 William Hilton Parkway, Hilton Head Island. 843-842-2055 or www.hhso.org. Breakfast with Santa: Enjoy breakfast with Santa at Heyward's Restaurant and Seacrest Terrace & Patio. A photographer will capture holiday memories for guests. 9 a.m.-noon, Sonesta Resort Hilton Head Island, 130 Shipyard Drive, Hilton Head Island. 843-842-2400. Society of Bluffton Artists Presents Marianne Stillwagon Exhibit: Marianne Stillwagon is the featured artist at the Society of Bluffton Artists Gallery in Old Town Bluffton. Her exhibit will run from Dec. 3-Jan. 6, with a wine and cheese reception from Dec. 9 at the gallery. Free. 3 p.m.-5 p.m. 843-757-6586 or www.sobagallery.com. Women of St. Francis Fashion Show & Luncheon: Join the Women of St. Francis at the group’s annual holiday fashion show and luncheon. This event will feature great fashions from Chico’s, The Pink Pineapple and PGA Tour Superstore, plus a silent auction, gift basket raffle and delicious luncheon. Tickets are $40. 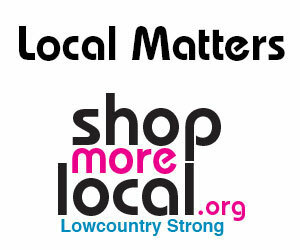 11 a.m.-2 p.m., Sea Pines Country Club, 30 Governors Road, Hilton Head Island. Dee Judge, 843-682-2255. “CraftHiltonHead2018” 6th National Juried Fine Art Craft Guild Exhibition: Showcasing over 100 works by artists from around the country who are competing for more than $4,000 in cash awards. 10 a.m.-4 p.m., Art League of Hilton Head Gallery, 14 Shelter Cove Lane, Hilton Head Island. 843-681-5060 or www.artleaguehhi.org. Ray Bing on Vegan Running: The Palmetto Plant Eaters Club will host Ray Bing as its guest speaker. He will be discussing his vegan strategies for long-distance runs and the myths pertaining to veganism and athleticism. Free. 6:30 p.m., Unitarian Universalist Congregation of the Lowcountry,110 Malphrus Road, Bluffton. www.palmettoplanteaters.com. “An American in Paris”: Named best musical of the year by both the Drama League and the Outer Critics Circle and the winner of four Tony Awards, “An American in Paris” is guaranteed to sweep you off your feet. Tickets for preview performances Dec. 5-6 are $50 for adults and $37 for children ages 5-15. Tickets for Dec. 7-30 are $60 for adults and $47 for children ages 5-15. Arts Center of Coastal Carolina, 14 Shelter Cove Lane, Hilton Head Island. 843-686-3945, ext. 206 or www.artshhi.com. The American Revolution Round Table: The Round Table meets quarterly to explore historic events and people of the American Revolution era, emphasizing the importance of the South. Eric Nason will perform as Capt. Jacob Clarke at the Battle of Fort Sullivan. Guests are welcome. 11:30 a.m.-1 p.m., Hampton Hall, Bluffton. Peggy Picket, 757-561-3035, or Maria Basch, 843-707-7049. “Elf The Musical Jr.”: Based on the New Line Cinema Film written by David Berenbaum. $15 for adults; $10 for children younger than 12. 7 p.m. Hilton Head Preparatory School Main Street Theatre, 3000 Main St., Hilton Head Island. Jennifer Ford, 843-422-9660 or byt.blufftonsc@gmail.com, or www.blufftonyouththeatre.org. Gullah Kinfolk Yuletide Season Celebration: Join Aunt Pearlie Sue & The Gullah Kinfolk as they bring history to life during a special Yuletide Season Celebration on the Sea Islands. Tickets are $35 in advance; $40 at the door; $12 for children ages 7-17. 7 p.m., University of South Carolina Beaufort’s Center for the Arts, 801 Carteret St., Beaufort. 843-986-1102 or bcbcc.org. Gullah Kinfolk’s “Christmas Wish … Freedom Comin’”: An abbreviated version of the Friday evening performance of the original musical, Gullah Kinfolk’s “Christmas Wish … Freedom Comin.’” Admission is $9 for students and $15 for senior citizens. 9:30 a.m., 10:30 a.m. & 11:30 a.m., University of South Carolina Beaufort’s Center for the Arts, 801 Carteret St., Beaufort. 843-986-1102 or www.bcbcc.org. Zoe Lewis: Zoe Lewis will perform at Music on Malphrus. Tickets are $20 at the door. 7 p.m., The Unitarian Universalist Congregation of the Lowcountry, 110 Malphrus Road, Bluffton. 843-837-3330 or www.uulowcountry.org. Gullah Reconstruction Tours: Find out about the rich Gullah heritage of Beaufort Sea Islands during fun and educational two-hour tours of Beaufort’s nationally-recognized Reconstruction monuments. Tickets are $35 for adults; $15 for children younger than 17. 10 a.m. and 1 p.m., Beaufort County Black Chamber of Commerce Multiplex Center, 801 Bladen St., Beaufort. 843-986-1102 or www.bcbcc.org. A Rat Pack-Style Salute to The Holidays by Bobby Ryder’s Quintet: Bobby Ryder captivates audiences with his energy and talent. Tickets are $10. 8-11 p.m., The Jazz Corner, 1000 William Hilton Parkway, Hilton Head Island. Outdoor Movie: “Polar Express”: Get into the holiday spirit by watching this classic movie with benches and a fire pit for roasting marshmallows. Bring donations of canned food for The Deep Well Project. Free. 7 p.m., Harbour Town, 149 Lighthouse Road, Hilton Head Island. 843-842-1979 or www.seapines.com/events. A Taste of A Gullah Christmas Buffet, Artist Showcase, Vendor's Marketplace, Trees on Da' Piazza & Live Entertainment: Come enjoy lip-smacking, finger-licking, Gullahlicious holiday dishes prepared by some of the finest cooks 'round dese parts, Gullah arts & crafts, open house tour, a live Christmas variety show and so much more. Cost for food is $20 for adults; $10 for children. 11 a.m.-3 p.m., Beaufort County Black Chamber of Commerce Multiplex Center, 801 Bladen St., Beaufort. 843-986-1102 or www.bcbcc.org. Bluffton Coffee and Chocolate Fest: The first-ever Bluffton Coffee and Chocolate Fest, coordinated by Leslie Rohland — owner of The Cottage, The Juice Hive and May River Coffee Company — is bringing together the best of Bluffton’s mouth-watering chocolates and distinctive coffee roasts at a truly decadent event. Free. Noon-4 p.m., the green next to Gigi’s Boutique, 40 Calhoun St., Bluffton. Breakfast with the Grinch at the Beach House Resort: Naughty or nice, you're invited to join the Grinch for a special Whoville breakfast buffet and storytime to celebrate the season. $24 for adults; $15 for children ages 4-12; free for children ages 3 and younger. 8-11 a.m., The Beach House Resort, 1 South Forest Beach Drive, Hilton Head Island. 855-474-2882. Holiday Fireside Movies with Popcorn: Join us on the terrace for a festive holiday movie! Pull up a comfy seat by one of our outdoor fire pits, enjoy some warm popcorn and take in the show. 7-11 p.m., Sonesta Resort Hilton Head Island, 130 Shipyard Drive, Hilton Head Island. 843-842-2400. Outdoor Movie: “Home Alone”: Get into the holiday spirit by watching this classic movie under the Liberty Oak in Harbour Town. Benches and a fire pit for roasting marshmallows will be provided. Free. 7 p.m., Harbour Town, 149 Lighthouse Road, Hilton Head Island. 843-842-1979 or www.seapines.com/events. Gullah Jazz Cafe Christmas Dinner Theater & Gullah Soul Food Buffet: Enjoy live music, entertainment and dancing with drinks and appetizers, buffet, dessert and coffee. Perfect for your holiday parties or a night on the town. Wine sold separately. Cost is $45. 7 p.m., Beaufort. 843-986-1102 or www.bcbcc.org. Christmas High Tea & Gullah Storytelling: St. Helena Island, a vibrant community of old live oaks and Gullah culture, is the location for this lovely afternoon event. There will be plenty of teapots and Christmas goodies for guests along with storytelling and music with Gullah Kinfolk CDs and DVDs for sale. Admission is $35 for adults; $15 for children ages 17 and younger. 12:30-2 p.m., Sea Island Center, 876 Sea Island Parkway, St. Helena Island. 843-986-1102 or www.bcbcc.org. St. Helena Island Gullah Tour: See the historic and beautiful Brick Baptist Church, built in 1855; Penn Center, one of the first schools for emancipated people in the South; the Martin Luther King Cottage, where Dr. King found sanctuary and inspiration during the civil rights movement; the ruins of the Chapel of Ease; the great folk art of famed native son Sam Doyle; the remarkable Lands End Woodlands; historic Fort Freemont; the praise houses of Coffin Point and Eddings Point; and the Red Piano Art and Co-op Building. Tickets are $35. Noon, Sea Island Center, 876 Sea Island Parkway, St. Helena Island. call 843-986-1102 or www.bcbcc.org. Handel's Messiah: The First Presbyterian Church Community Choir will present Handel's Messiah as part of the Christmas season. The presentation will be open to the community. Free. 5 p.m. First Presbyterian Church, 540 William Hilton Parkway, Hilton Head Island. mfox@fpchhi.org or www.fpchhi.org. Helping Parents heal: Helping Parents Heal is a nonprofit organization dedicated to assisting parents who have lost children, giving them support and resources to aid in the healing process. We go a step beyond other groups by allowing the open discussion of spiritual experiences and evidence for the afterlife, in a non-dogmatic way. Everyone is welcome to join the December meeting. 1-3 p.m.. Irene Vouvalides, irenevouvalides@gmail.com or 201-233-6015. “A Coastal Christmas”: The Shore Notes Chorus will usher in Christmas by presenting “A Coastal Christmas.” Tickets are $10 and available at Burke’s Pharmacy or from a chorus member. 2:30 p.m., Island Lutheran Church, 4400 Main St., Hilton Head Island. 843-705-6852 or www.hiltonheadshorenotes.com. Bobby Ryder Swings "The Great American Songbook": Join us for your favorite tunes by Dean Martin, Frank Sinatra, Tony Bennett and more. Tickets are $7. 8-11 p.m., The Jazz Corner, 1000 William Hilton Parkway, Hilton Head Island. Lean Ensemble Theater Presents “Bad Dates” by Theresa Rebeck: Enjoy the misadventures of Hayley Walker, a single mom, as she navigates the minefield of potential mates complete with money-laundering mobsters, a weirdo bug guy, a colon-obsessed suitor and a closet full of shoes. Tickets are $25-$40; $15 for students and active-duty military. 7:30 p.m. Dec. 12-15 and 2 p.m. Dec. 16, SoundWaves, 7 Lagoon Road, Hilton Head Island. 843-715-6676 or www.leanensemble.org. Audubon Christmas Bird Count: We spread out across Hilton Head, Daufuskie and Pinckney islands, parts of Bluffton and Lowcountry waterways to identify species and count each bird seen or heard in the 15-mile diameter circle. Search for some of the most beautiful birds in the area. This experience will help you better understand nature and also assist in preservation. 9 a.m., The Sea Pines Resort, 32 Greenwood Drive, Hilton Head Island. Susan Murphy, 843-686-3733 or hhicbc@gmail.com, or www.hiltonheadaudubon.org. “Christmas in the South” concert: Experience the joy of the holiday season at the “Christmas in the South” concert presented by the Hilton Head Choral Society. Tickets are $10-$40. 8 p.m., First Presbyterian Church, 540 William Hilton Parkway, Hilton Head Island. 843-341-3818 or hiltonheadchoralsociety.org. A Motown Holiday Spectacular by Reggie Deas and Deas Guyz: Deas Guyz features an entertaining mix of Motown, R&B, pop, rock, reggae and dance beats. The range of musical selections includes Motown sounds of the Temptations, The Drifters, Smokey Robinson and Marvin Gaye; Bob Marley classics; the lover’s rock style of Gregory Isaacs and Dennis Brown; and the hip-hop sounds of Lauryn Hill and R. Kelly. Tickets are $15. 8-11 p.m., The Jazz Corner, 1000 William Hilton Parkway, Hilton Head Island. Outdoor Movie: “A Christmas Story”: Put some happy in your holiday watching this Christmas classic. Benches and a fire pit for roasting marshmallows will be provided. There will be a donation of a canned food item for The Deep Well Project. Free. 7 p.m., Harbour Town, 149 Lighthouse Road, Hilton Head Island. 843-842-1979 or www.seapines.com/events. Charleston Symphony Brass Quintet: Join the Charleston Symphony Brass Quintet for an evening of your favorite holiday music, from treasured carols to the familiar songs of childhood from television and Hollywood. This concert is appropriate for all ages. Tickets are $10 for adults; $5 for children. 7 p.m., Bluffton United Methodist Church, 101 Calhoun St., Bluffton. 843-757-3351 or www.blufftonumc.org. Legendary Bluesman Earl Williams Honors "Classic Jazz & Blues": Earl Williams, an island favorite, plays tenor saxophone, soprano saxophone, flute, harmonica and banjo, and sings. $7. 8-11 p.m., The Jazz Corner, 1000 William Hilton Parkway, Hilton Head Island. Holiday Luncheon: The Women’s Association of Hilton Head Island hosts its annual Holiday Luncheon. Entertainment for the luncheon will be provided by the cast of “An American in Paris” from the Arts Center of Coastal Carolina. WAHHI will also collecting children’s toys for The Children’s Center and Bluffton Self Help. The luncheon is open to WAHHI members and the general public. Tickets are $30 for members; $38 for guests. Reservations are required. 11 a.m., Sonesta Resort Hilton Head Island, 130 Shipyard Drive, Hilton Head Island. Anne Lambdin, 443-418-6445, reservations@wahhi.org or wahhi.org. Winter Solstice Cruise: It's the winter solstice, which means it’s the shortest day of the year. This Salty Dog Cruise includes a two-hour boat ride around Calibogue Sound. The full bar and galley onboard will be open to purchase food, drink, libations, whatever floats your boat. Cost is $24. 4-6 p.m., The Salty Dog, 232 S. Sea Pines Drive, Hilton Head Island. boatride@saltydog.com. The Rossano Sportiello Trio Featuring Nicki Parrott and Eddie Metz Jr.: Join them as they add a little music to your night. $20. 8-11 p.m., The Jazz Corner, 1000 William Hilton Parkway, Hilton Head Island. Cold Moon Full Moon Cruise: It's the cold moon and The Salty Dog will be doing some serious moon gazing from our 63-foot powered catamaran with upper and lower decks. This moon cruise is two hours and we will be serving celestial snacks and lunar libations. The full bar and galley onboard will be open to purchase food, drinks and moon-inspired specials. Cost is $24 4-6 p.m., The Salty Dog, 232 S. Sea Pines Drive, Hilton Head Island. boatride@saltydog.com. Gregg Russell Christmas Concert: Relish the spirit of the holidays with an evening in Harbour Town. Listen as Gregg Russell plays his guitar and sings songs of the season for children and adults. Before and after the concert, enjoy a special visit from Santa Claus. Free. 5:30-9 p.m., Harbour Town, 149 Lighthouse Road, Hilton Head Island. 843-842-1979 or www.seapines.com/events. Hilton Head Hospital Jingle Jingle 5K: The Hilton Head Hospital Jingle Jingle 5K features a colorful seasonal theme and gives participants a chance to burn off those extra holiday calories. The Jingle Jingle 5K features all standard male and female running divisions. Holiday prizes are presented to the top three overall male and female finishers, plus the top three in each age category will also receive unique holiday awards. Tickets are $30. 8-10 a.m., 25 Hospital Center Blvd., Hilton Head Island. www.bearfootsports.com. Christmas Eve Under the Stars: This family-oriented service, presented in cooperation between St. Andrew By-The-Sea United Methodist Church and Zion Missionary Baptist Church, includes carols and the lighting of candles. Free refreshments also are provided. 6:30 p.m., Bluffton Oyster Factory Park, 63 Wharf St., Bluffton. Holiday Fun in Harbour Town: Gather around the Liberty Oak to watch classic holiday movies, roast marshmallows and enjoy train rides, games and activities. We’re also collecting canned food for The Deep Well Project. Train rides $5 are per passenger. The event is free. 5:30-7:30 p.m., Harbour Town, 149 Lighthouse Road, Hilton Head Island. 843-842-1979 or www.seapines.com/events. Rene Marie, Grammy-Nominated Jazz Artist: Join Rene Marie as she serenades your night. Charge is $30. 8-11 p.m., The Jazz Corner, 1000 William Hilton Parkway, Hilton Head Island. 18th Annual Polar Bear Swim: Show your adventurous side with the other “polar bears” by taking an invigorating dip in the Harbour Town pool. Warm up after your plunge with hot chocolate and refreshments. Free. 10 a.m., Harbour Town Pool, 7 Lighthouse Lane, Hilton Head Island. 843-842-1979 or www.seapines.com/events. Dance Party and Dessert Buffet: Join the party at Octagon Porch in Palmetto Bluff to ring in the New Year with the Heather Hayes Revue. A full open bar, opulent dessert display and late-night snacks will keep the fun going until the ball drops at midnight and glasses are raised a champagne toast. $100 for adults; $45 for children. Reservations are required. 9:30 p.m.-12:30 a.m., Octagon Porch in Palmetto Bluff, 477 Pelia Road, Bluffton. 843-706-6500. New Year’s Eve Celebration: Join us for a festive New Year’s Eve ball drop from the top of the Harbour Town Lighthouse. If you don’t think you can make it to midnight, there will be two ball drops — one at 7 p.m. and one at midnight. Enjoy food, entertainment and live music throughout Harbour Town, then count down to the New Year. 6 p.m.-1 a.m., Harbour Town, 149 Lighthouse Road, Hilton Head Island. For dinner reservations at The Quarterdeck, call 843-842-1999. 843-842-1979 or www.seapines.com/events. New Year’s Eve Extravaganza with The Noel Freidline Quintet Featuring Maria Howell: $85 for early seating; $145 for late seating. 5-11:30 p.m., The Jazz Corner, 1000 William Hilton Parkway, Hilton Head Island. 843-842-8620. XXIV ANNUAL WINTER CLASSIC (Shag Dancing & Beach Music): This four-day event draws shag dancers from throughout the Southeast. The event is open to the public and you do not need to know how to shag. All dancers and anyone who enjoys "beach music" is encouraged to attend. Registration is $90. Sonesta Resort Hilton Head Island, 130 Shipyard Drive, Hilton Head Island. 912-414-4383, ksaug29@yahoo.com or HiltonHeadShagClub.com. 6th Annual Chowder Challenge and Silent Auction: To benefit The Heather Trew Foundation for organ, eye and tissue donation. Restaurants compete for the best chowder, so be sure to come and cast your votes. Cost is $5 a person; free for children ages 12 and younger. Noon-4 p.m., Reilley's Plaza, 7 Greenwood Drive, Hilton Head Island. Haydn and Dvořák at SoundWaves: Symphony No. 85, Violin Concerto in A Major, Romance for Violin & Orchestra, Symphony No. 83. Tickets are $45 and $55. 8-10 p.m., SoundWaves, 7 Lagoon Road, Hilton Head Island. 843-842-2055. Brian Luckett Classical Guitar: A concert of music for classical guitar by acclaimed guitarist Dr. Brian Luckett of Jacksonville, Florida. $20 suggested donation. Noon, All Saints Episcopal Church, 3001 Meeting St., Hilton Head Island. 843-681-8333 or www.allsaints-hhi.org. Ballet Memphis: For more than 30 years, Ballet Memphis has presented and taught ballet in a way that celebrates the human spirit. It is a company that is reflective of its audience — beautifully diverse in mind, body and soul. Its highly acclaimed, original repertoire speaks of the cultural significance of Memphis, shared with audiences around the globe and at home. Tickets are $60 for the 8 p.m. show; $8 for grades 1-12 for the 11 a.m. show. Arts Center of Coastal Carolina, 14 Shelter Cove Lane, Hilton Head Island. 843-686-3945, ext. 205 or www.artshhi.com/field-trips. Daufuskie Island Marathon: Offering a unique perspective of the culturally rich history of Daufuskie Island. This race offers 13.1-, 26.2- and 39.3-mile runs through paved and unpaved roads on Daufuskie. Runners will be ferried over by boat from 10 Haig Point Court and Buckingham Landing. Tickets are $100 for the 13.1-mile run; $150 for the 26.2-mile run; $199 for the 39.3-mile run. Ferry fee is $35. 5:15 a.m.-4:45 p.m., Haig Point, Daufuskie Island. www.hiltonheadisland.org. Ballet Memphis Master Class: Enhance your training with the renowned Ballet Memphis during this 90-minute master dance class. Beginner to intermediate dancers are encouraged to attend. At check-out, be sure to complete the questions including the participants name and age, if younger than 18. Tuition is $25. 10 a.m., Arts Center of Coastal Carolina, 14 Shelter Cove Lane, Hilton Head Island. 843-686-3945, ext. 205 or www.artshhi.com/workshops. Lean Ensemble Theater Presents “A Doll's House, Part 2” by Lucas Hnath: Lean Ensemble Theater presents “A Doll’s House, Part 2” by Lucas Hnath. Tickets are $40 for adults, $15 for students and active-duty military. 7:30 p.m., Hilton Head Preparatory School Theater, 3000 Main St., Hilton Head Island. 843-715-6676 or www.leanensemble.org. Hilton Head Snow Day: This family event will have inflatable rides, a snow field, and entertainment. For the kids who have never seen snow, this is the perfect event. Cost is $10 for ages 2-17; free for adults. 11 a.m.-4 p.m., Shelter Cove Community Park, 39 Shelter Cove Lane, Hilton Head Island. www.islandreccenter.org. Tchaikovsky’s Symphony No. 6: Piano Concerto No. 1, Symphony No. 6. Tickets are $30, $45 and $55. 8-10 p.m., First Presbyterian Church, 540 William Hilton Parkway, Hilton Head Island. 843-842-2055. Santa is making his list and checking it twice, so don’t miss out on a chance to tell him you’ve been nice! Saturday and Sunday mornings, he will be at the Octagon Inn in Palmetto Bluff for breakfast with children of all ages. Reservations are recommended. Toy donations will also be collected to benefit Bluffton Self Help. Take home fresh produce, pasture-raised chicken, free-range rabbit, pork, seafood, homemade salsa, cookies, bread, and more. Three Sisters Farm, Benny Hudson Seafood, Donald and Susan Brant, Whippoorwill Farm, Bakeology, Grind Roasters, Great Gourmet USA and others will be there. Once a month, the Lowcountry Raptors will showcase their birds of prey and knife sharpening with Mark. 9 a.m.-1 p.m. Tuesdays through December. 843-689-6767, ext. 226. On Saturdays through Dec. 22, kids can write a letter to and have their photo taken with Santa and decorate a cookie. 3-5 p.m. outside Island Child, 1000 William Hilton Parkway, Hilton Head Island. Receive clues via the Hilton Head Humane Association’s Facebook page to determine where the event will be each week. Noon-1 p.m. Wednesdays. If you guess the location and the dog the humane association is bringing to the event, you’ll win a prize. 843-681-8686 or membership@hhhumane.org. Enjoy beautiful views of the ocean as you relax and focus on strength, flexibility and balance. Please bring a beach towel to use as your yoga mat and meet our instructor on the beach behind the Sea Pines Beach Club. Cost is $15 per adult and reservations are required. 8 a.m. Mondays and Wednesdays. The Sea Pines Resort, 32 Greenwood Drive, Hilton Head Island. 843-842-1979 or www.seapines.com/events. The market is now open with additional public parking provided by the town of Bluffton. An artisan showcase on the first Thursday of every month highlights a rotating group of local artists and their fine craftsmanship. Keep an eye out for new food and farm vendors this year and find your next favorite thing. 1-6 p.m., Thursdays, 1271 May River Road, Bluffton. www.farmersmarketbluffton.org. Take a ride along the waterfront corridor of Squire Pope Road and learn about Hilton Head Island’s unique and rich history, including its Native American history, the Civil War, Reconstruction, the Gullah community and more. The tour lasts about 90 minutes and is safe, casual and fun. Helmets are required; bug spray and water are suggested. Bring your own bike. $15 for adults and $10 for children ages 10 and older. 10 a.m., Wednesdays, leaving from 137 Squire Pope Road, Hilton Head Island. www.heritagelib.org. Visit the newly restored Garvin-Garvey House for a guided tour. $5 per person. By appointment from 10 a.m.-4 p.m. Tuesdays and Thursdays, Oyster Factory Park, 63 Wharf St., Bluffton. www.townofbluffton.sc.gov/garvin-garvey. Experience afternoon tea at a beautiful plantation house in the Lowcountry. Selections include custom crafted teas, elegant finger sandwiches and heavenly desserts. Small groups or large groups welcome; reservations are required. $40 per person. 2 p.m. Tuesdays, Rose Hill Mansion, 199 Rose Hill Way, Bluffton. 843-757-6046. Group and individual golf programs for adults and juniors led by PGA professional Jeff Picus of Excel and Enjoy Golf Academy. Registration is required. Times vary, Country Club of Hilton Head, Hilton Head Island. 843-295-8888 or classapro@pga.com. Paint and Play is an adult wine and paint night of fun entertainment for all skill levels — no experience needed. Relax, unwind and let out your inner creativity as artist Kristin Griffis helps you create your own finished piece of artwork. Thursdays, Art League Academy, 106 Cordillo Parkway, Hilton Head Island. 843-842-5738 or artleaguehhi.org. Ben Green with Mt. Calvary Missionary Baptist Church on Squire Pope Road will offer a free missionary program that teaches children fishing and crabbing skills. 4 p.m. Saturdays, Rowing & Sailing Center, 137 Squire Pope Road, Hilton Head Island. 843-816-0172. The museum offers guided tours of the 4-room Carolina farmhouse and two outbuildings, which are filled with interesting artifacts and furnishings from the late 1800s into the 1920s. Tours last approximately 45 minutes to 1 hour and are offered as visitors arrive unless previously scheduled. Cost is $10 and reservations are not required, unless you have a group of 10 or more. Guided tours are available 10 a.m.-4 p.m. Monday-Friday and 10 a.m.-3 p.m. Saturdays. Heyward House Museum and Welcome Center, 70 Boundary St., Bluffton. www.heywardhouse.org. Club Seats Grille has crafted a special night to honor all of these hardworking locals The restaurant will host the best industry night ever. Specials include $5 Solo cup and $.25 domestic drafts for the hour, along with other great specials. 10-11 p.m., Thursdays, Club Seats Grille, 2600 Main St., Unit 102, Hilton Head Island. 843-363-2582 or www.cheapseatsrestaurantgroup.com. Tasty Tuesday every Tuesday. Wine and cheese tasting. Cost is $15 per person. 9 Palmetto Bay Road Store, Hilton Head Island. 843-842-1200 or www.rollerswineandspirits.com. Weekly history programs about the history of Hilton Head Island and the lowcountry. Reservations required. Cost $10. 10:30 a.m.-noon Tuesdays, The Heritage Library Foundation. 2 Corpus Christi, Suite 100, Hilton Head Island. www.heritagelib.org. Take a historic bike tour of sites along Squire Pope Road, including historic plantations, fishing and farming life after the Civil War; a historic African-American church; tabby ruins and a meet-and-greet with volunteers from the Gullah Museum of Hilton Head Island. Bike and helmet provided. Bring water, sunscreen and bug spray. Reservations required. Admission is $15 for adults and $10 for children ages 10 and older with your own bikes; $25 for adults and $20 for children if we provide the bikes. 10-11:30 a.m. Wednesdays, Squire Pope Community Park, 137 Squire Pope Road, Hilton Head Island. www.heritagelib.org. Cost is $15 for Heritage Library members; $20 for non-members. Wednesdays, The Heritage Library. 2 Corpus Christi, Suite 100, Hilton Head Island. heritagelib.org. Join the Heritage Library for a tour of the Civil War battery on Skull Creek with an experienced guide in Hilton Head Plantation. Built to protect Port Royal Sound and the Seabrook Coaling Station and named after Gen. Ormsby Mitchel. Reservations required. $12 per adult; $7 per child. 10 a.m. Thursdays, Fort Mitchel, 65 Skull Creek Drive, Hilton Head Island. www.heritagelib.org. Meet historical characters who lived on Hilton Head Island during the antebellum period and see inside the oldest existing structure on the island. Tour where Revolutionary War soldiers are buried and explore the location of the planter’s antebellum church and muster house. Reservations required. Cost is $12 for adults; $7 for child. 10 a.m. Wednesdays, Corner of William Hilton Parkway and Mathews Drive, Hilton Head Island. 843-686-6560 or www.heritagelib.org. Deas Guyz "R&B and Motown"
Deas Guyz features an entertaining mix of Motown, R&B, pop, rock, reggae and dance beats. $10. 8-11 p.m. Sundays, The Jazz Corner, 1000 William Hilton Parkway, Hilton Head Island. The Jazz Corner Ensemble features pianist Eric Jones, bassist Dave Masteller and percussionist Chris Russell with rotating special guests including saxophonist Dean St. Hillaire, trumpeter James Berry and more. Charge is $7. 8-11 p.m. Tuesdays., The Jazz Corner, 1000 William Hilton Parkway, Hilton Head Island. Pianist and vocalist Lavon Stevens is joined by drummer Jimmy Charles, bassist/vocalist Clarence Williams and rotating weekly special guests including sensational vocalist Louise Spencer, saxophonist Stutz Wimmer, guitarist Jimmy Ward and more. Charge is $7. 8-11 p.m. Thursdays., The Jazz Corner, 1000 William Hilton Parkway, Hilton Head Island.